Tuck into a sensory dining of Thai Flavours at the newly renovated Sedap Restaurant at Pullman Kuala Lumpur City Centre! From now till 30 September 2018, it’s a A Taste of Thailand by Chef Phubees Viboonsiripakorn from Sofitel Krabi Phokeethra Golf & Spa Resort. 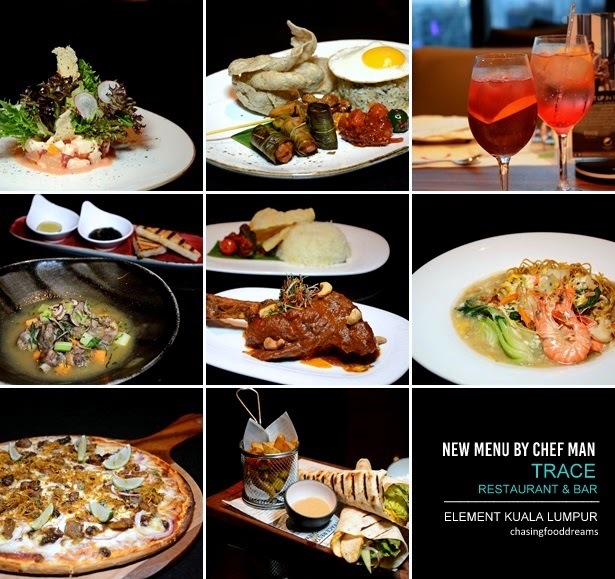 More often known as Chef Pop, he brings with him a sumptuous list of Thai favorites. Sedap, a gorgeous modern space of all-day dining, offers diner a spacious and beautiful dining with its few dining areas. 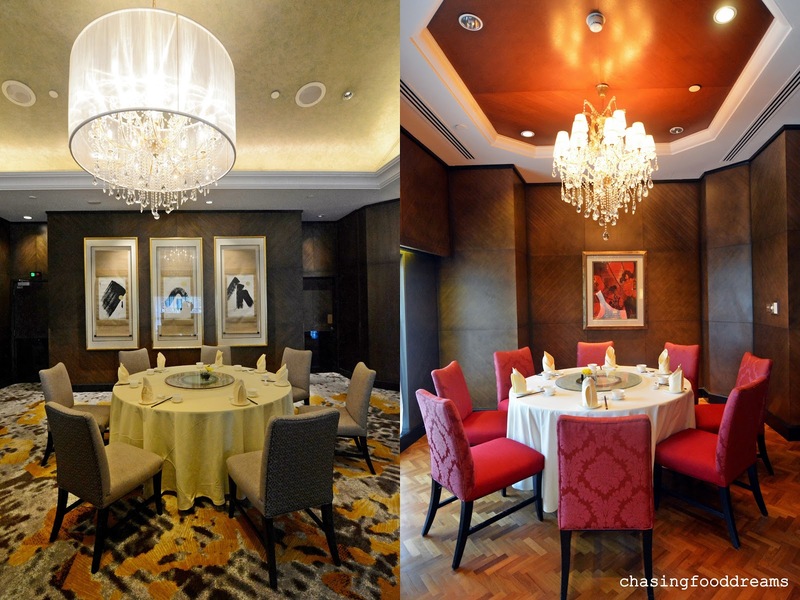 The décor is set in modern contemporary with its space set in two dining areas. Buffet counters are cleverly set on the side, spread along the side of the room, allowing diners to roam the spread comfortably. Another area features a live open kitchen station where made-to-order dishes are whipped up at your request. Chef Pop whipped up one of his signature Pad See Ew, a stir-fried ribbon noodle with prawn that evening. 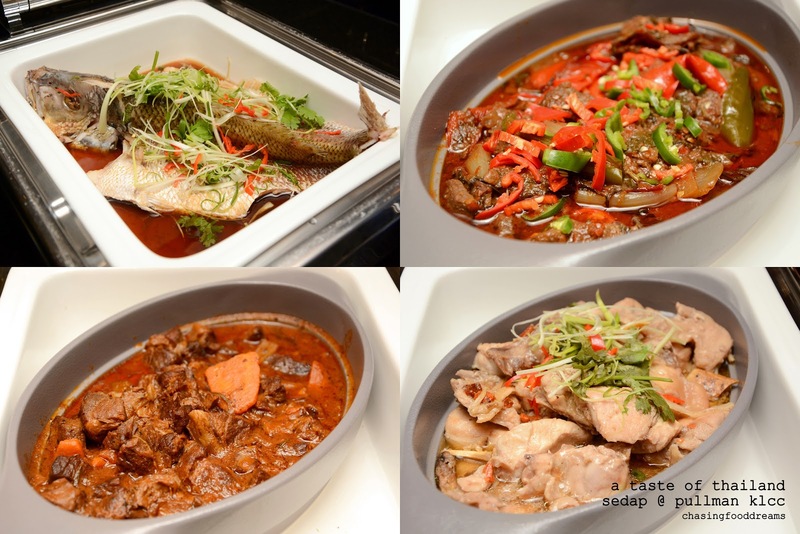 With 15 years of culinary experience, Chef Pop and the culinary team of Sedap will be showcasing an authentic spread of Thai cuisine for lunch and dinner. Using seasonal and sustainable ingredients, his cleverly incorporate traditional Thai cooking methods with today’s modern creativity to draw out the essential Thai flavours of sweet, savory, spicy and sour notes. Highlight of A Taste of Thailand includes the essential classic of Tom Yam Goong. Sublime with every spoonful of aromatic lemongrass and herbs, the heat is well-balance and the sweetness of the prawns has also infused into the broth, making this hot and sour soup utterly addictive. The Seafood Thai Salad has lots of chunky textures of poached prawns and squid with crisp sweet onion slices, tomatoes and coriander. His creative side features Kale & Herb Salad and Green Vegetable with Creamy Dressing, both delicious in bold flavours. Other Thai dishes to look out for are Gaeng Keow Wan Kai (Green Chicken Curry) Pad Kra Prao (Thai Hot Basil Chicken), Red Curry with Roasted Duck, Red Curry with Beef, Stir Fried Seafood with Red Curry, Glass Noodle with Prawns, Pla Pao (Thai Grilled Fish), Gai Yang (Thai Grilled Chicken),, Pad Thai (Stir Fried Thai Rice Noodles and more. 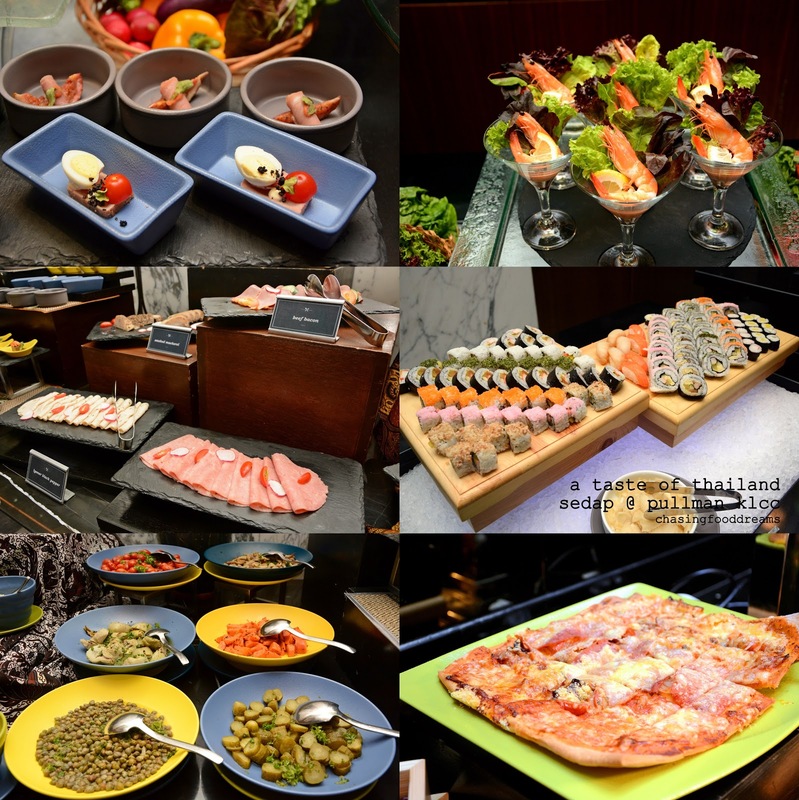 Besides Thai cuisine, one should not miss this amazing spread of seafood treasures. Snow Crab Legs, Yabbies, Scallop, Mussel and Prawn are set on ice, all to be savored with sauces and fresh lemon wedges. Pizza, Seafood Cocktail, miniature Appetizers, Salad Bar and more are all set on the buffet counters, waiting to be savored. 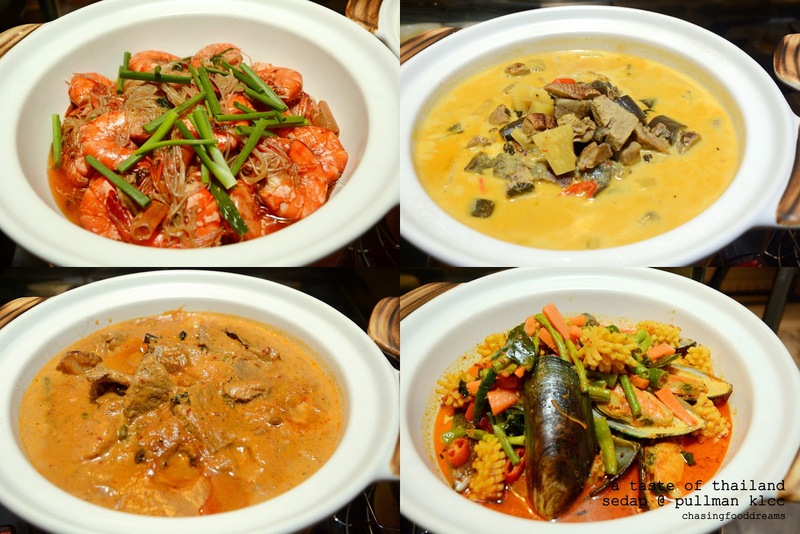 The hot buffet warmers also feature international dishes to keep diners satisfied. There is also a beautiful Roasted Leg of Lamb at the grill station. 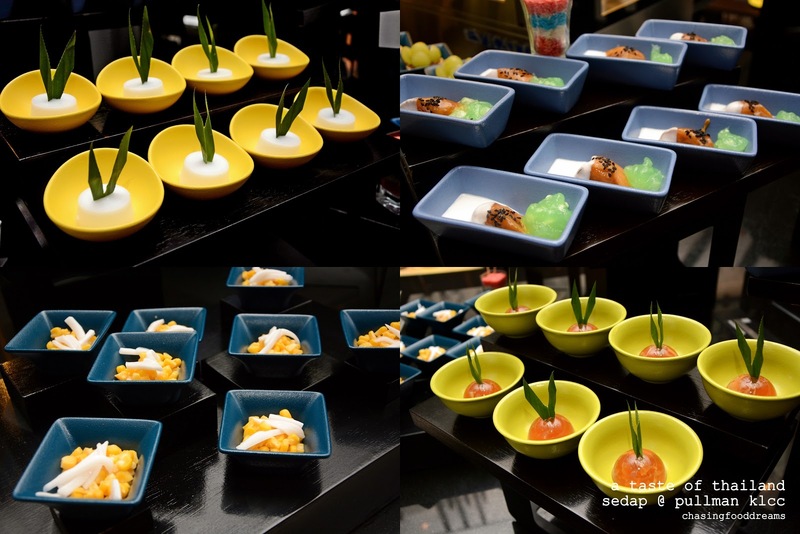 Last but not least, end your delicious journey with Thai desserts such as Mango Sticky Rice, Tub Tim Grob, Coconut Pudding, Corn with Fresh Coconut and more. There’s also plenty of other desserts and ice cream to savor as well besides the Thai desserts. Chef Pop will feature accents from Thai cuisine at Sedap’s buffet lunch from 12 noon – 2:30pm, priced at RM120 per adult; and dinner from 6:30pm –10pm, priced at RM140 per adult. 25% off exclusively for fans of Pullman KLCC Facebook, Instagram and in-house guests. Become a fan of the Pullman KLCC on Facebook and Instagram for the latest events and promotions. All prices quoted will be subject to an additional 6% government service tax.